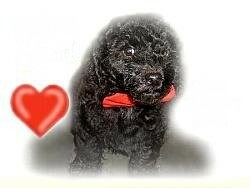 Our Beautiful Cockapoo Puppies prices depends on the size and color combination and patterns. We are keeping our Cockapoo Puppies at Affordable Prices to allow people to purchase one of our adorable cockapoo pups for their children so they can have a sweet and cuddly family pet that will bring them joy for years to come. Placing our Cockapoo Puppies we raise in a happy new home is very important to us.We want to know that they will go to happy healthy homes where they will be loved and well taken care of. All puppies are ready to go to their new homes around 7 to 8 weeks of age. We do accommodate our customers by meeting them at No Charge within 100 miles the weekend the puppies are ready to go to their new loving homes. We thank you for visiting us at Sherry's Cockapoos. We hope you will enjoy our web site and all the information that we have on Cockapoos. Feel free to inquire about the puppies or if you have any questions please feel free to e-mail or call Amanda at 229-457-4658, 229-423-8158 (sherry Home) or 229-457-4545 (sherry Cell). Sherry's Cockapoos is #1 for cockapoo puppies in Georgia. We are a cockapoo breeder in the southeast selling cockapoo puppies to happy cockapoo families in Atlanta and Macon Georgia, Florida, California, Texas, Alabama, Arizona, Arkansas, Colorado, Connecticut, Mississippi, South Carolina, North Carolina, Missouri and Tennessee. You can find more information on our site about cockapoo prices, toy cockapoo prices, miniature cockapoo prices, cockapoos, Cockapoo puppies, cockapoos for sale, cockapoo puppies for sale, Georgia cockapoo breeders, cockapoo breeders, cockapoo colors, cockapoo sizes, cockapoo waiting list procedures, shipping and delivery your cockapoo puppy, cockapoo puppy supplies that you will need for your new puppy, how to train and care for your new cockapoo puppy, testimonies and comments from our happy cockapoo families and frequently asked questions and common concerns about cockapoos. We have sold Cockapoo puppies in Georgia, Atlanta Georgia, Macon Georgia, Florida, California, Texas, Alabama, Arizona, Arkansas, Colorado, Connecticut, Mississippi, South Carolina, North Carolina, Missouri and Tennessee. We have Cockapoo puppies for sale in a variety of colors Black cockapoos, chocolate cockapoos, brown cockapoos, red cockapoos, buff cockapoos, phantom cockapoos and sable cockapoos.